Someone is ruining the Rainforest!! Over the weeks, Year 4 have learnt a little more about the Rainforest layers and what animals may be endangered to the local and worldwide environments. Music Lessons in Year 4! 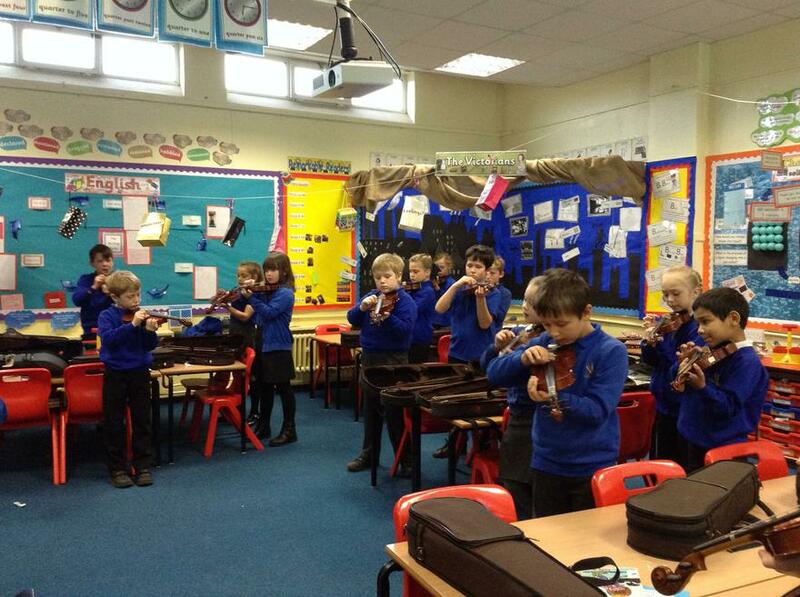 Year 4 children have been given a super opportunity to learn how to play a new instrument this Autumn half term! Our talented music teachers have very kindly offered their services to our year group in the hope children will dsicover a new hidden musical talent within themselves! Year 4's trip to Blists Hill! On the 18th October, Year 4 visited a real Victorian working town just outside of Telford known as Blists Hill. The children were able to see how the revolution sparked a huge increase in trading and new inventions were born. The children also had the opportunity to visit the Victorian Bank and have a taste of what life was like surviving off pennies and shillings! We all had a fabulous day and the children's behaviour was impeccable!